No receptionist? No time? No problem. Let your patients check themselves into Cliniko with Finger-Ink. 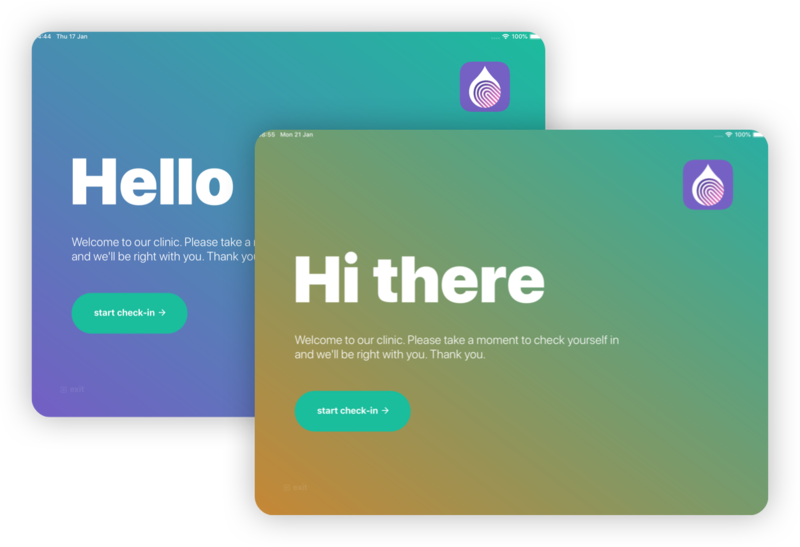 The subtle animations designed into the first screen of self check-in invite your patients to check themselves in, without disrupting the attention of patients who've already checked in. After a patient checks-in, Finger-Ink will inform Cliniko that the they have arrived — you'll be notified with a pop-up "[patient] has arrived" message, and a pleasant little "ding" sound in Cliniko. Configure self check-in to require a form for a specific appointment type — that means you can ensure patients fill out the intake form at their first appointment, while everyone else is just checked in. How can I be notified that a new patient has arrived without a receptionist? Just keep the appointments / calendar Cliniko screen open on a device in your treatment room. After a patient checks-in, we inform Cliniko that the patient has arrived. This causes anyone looking at the appointments screen in Cliniko to see a "[patient] has arrived" notification, and hear a little "ding". How much does self check-in cost? Self check-in is just another feature of the Finger-Ink app — so there is no extra cost to using it. If you don't need to fill out forms, but want self check-in, it costs just as much as our cheapest plan. Check out the pricing page for details. Won't the iPad get taken or run out of battery without someone there? We recommend that you purchase an iPad stand or bracket — to fix your iPad to your counter or wall. You can then leave the iPad plugged in and charging, without worrying about it getting taken. Can I get patients coming in for their first appointment to fill out an intake form? Absolutely! 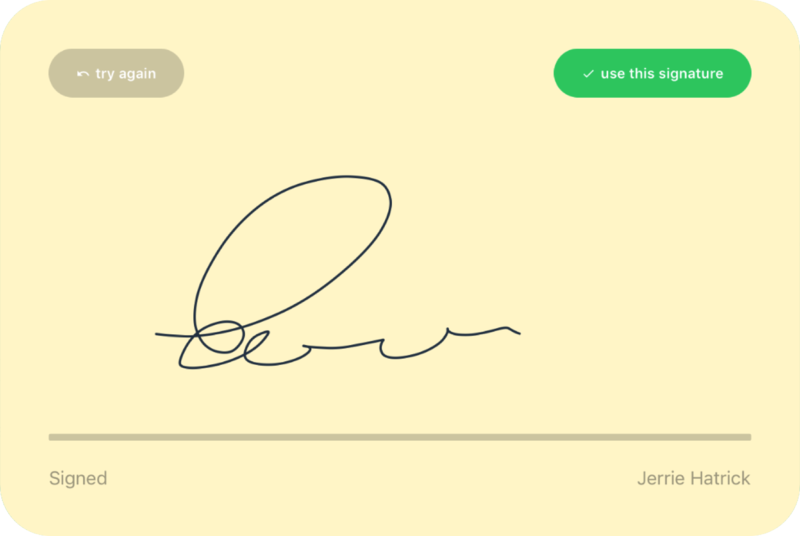 Finger-Ink lets you choose a "form to be filled" for each appointment type. In this way you could require an intake form to be filled in by new patients only — ensuring everyone else gets to check in as quickly as possible. I'm worried people will use other apps on the iPad if I leave it unattended. iOS has a featured called Guided Access which allows you to lock the iPad down into one app. A passcode, Touch ID or Face ID is required to turn off Guided Access once started. We do everything we can to ensure you start Guided Access before starting self check-in. What if someone accidentally chooses the wrong appointment? No need to worry — we have multiple safeguards in place to ensure that the app is working with the correct appointment and patient. Got a question we haven't answered here? Ask away via chat.